ENOUGH is enough. A couple of my friends say I complain too much, so I paused for a moment the other day when I was about to unleash another rant, about what, it doesn’t really matter, but I thought, it’s true, I do. It was probably my brazilianth complaint of the hour. But it was during that cleansing pause I had what alcoholics refer to as a moment of clarity. Yes, that is a line plagiarised from Pulp Fiction. And that’s my point, I complain most often about other people who complain — and blame. I instantly thought that I would get complaints about my moment of clarity rip-off from the plagiarising police, alcoholics, support groups who, well, support alcoholics and the politically-correct Nazis who make it their lives to point their fingers at people, who are just being people. It’s tiring — and it’s got to stop. But we are victims of our own circumstances. We’ve made our beds — a y-generation of youngsters who essentially have no respect for themselves, their elders or other people’s property. Do-gooders and the “it’s always someone else’s faulters”, the noisy minority and those annoying people that always call for bans. Ban this, ban that. I say we ban the ban — ban people who try to ban things. We have to start making people accountable again — re-establish the chain of command — kids are kids, don’t treat them like adults. It’s not drawing a long bow that these same yutes (sic) are clogging our court system. Exhibit A: the young hoon citizen arrested for doing burn-outs in front of playground full of school kids. He, along with scores of other young people, just don’t get it. They know the punishment will be virtually meaningless. So what’s the downside of a cheap thrill? Nothing — and it’s our fault, the grown-ups who have given less discipline, outlawed the cane, told kids they have rights. An eight-year-old has the right to remain silent and eat what they are told. The above paragraph is the result of the few — not the majority — but the majority has been made to bend, as it always does. And that’s not good enough. We need to arrest the situation now or forever be stuck in this “I remember the good ol’ days” or “it used to be safer at night” rubbish. It’s time to get creative. Forget the court system — corporal punishment is great but probably, unfortunately, unattainable. 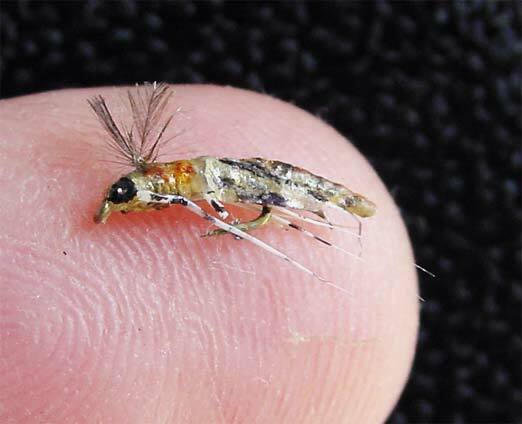 I am lobbying for Midge-Demeanors. It would take the pressure off our overflowing jails and what better way to start than those 40-plus people arrested at last week’s free concert on The Esplanade? Forget locking them up — let’s take advantage of nature — and offer them a night they’d not forget, much less want to repeat. Issue them Midge-Demeanors. This type of fine is really only relevant in Darwin, Australia. On arrest, transport them down to Bayview Haven — or Bagone Haven as it’s affectionately dubbed — strip them down to the grundies (boys and girls separated, of course) and lock them up in an open-air, electrified (optional) cage for the night. Now, I’ve been bitten once or twice by midgies — and it sucked. It was itchy, painful and exceptionally uncomfortable — everything punishment should be. It’s cheap — and nasty — but it’s a punishment that is punishment. Bonds or suspended sentences are only good if the offender is caught breaking the law again. A good Midge-Demeanoring would be far more memorable and mildly more deterring. If they commit a serious crime, they front the judge but if they are being stupid and “illegally” annoying they should be issued with a Midge-Demeanor. I expect complaints about my idea because that’s how it is nowadays. But remember, the next time your are inconvenienced by a disrespectful thug with low self-esteem, we have all contributed to his behaviour in some way. The only real argument for the good ol’ days is — we as a society, the majority — took no guff back in the day. As far as I was concerned the wooden spoon was an educational device and it taught me well. *This was written for The Northern Territory News last decade. It’s still relevant today.